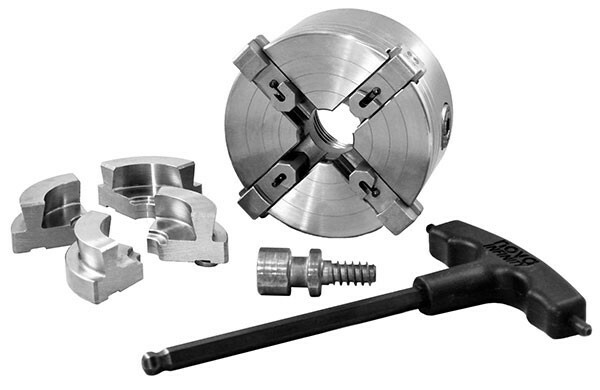 In 2013 Nova first introduced their woodturning lathe Quick Change Chuck System, but in 2014 they made it better. 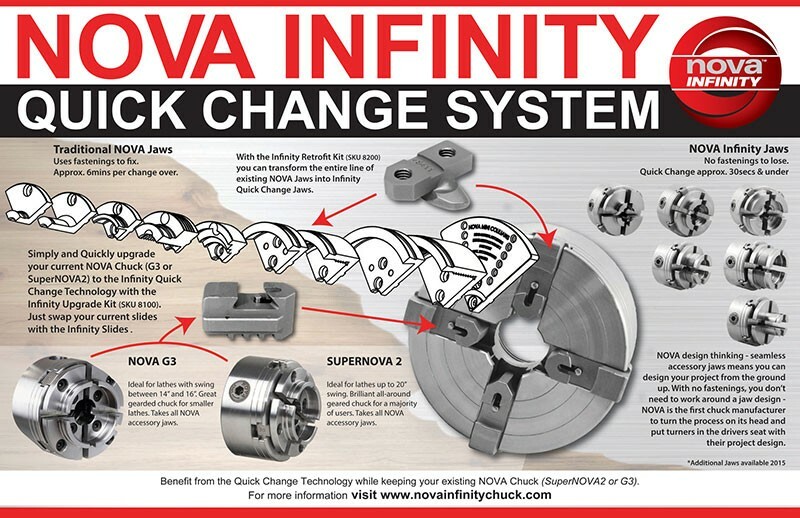 NOVA is so confident you’ll love the new and improved NOVA Infinity Quick Change Chuck System, they have backed with a 60-day money back guarantee. If time is money then the NOVA Infinity Quick Change Chuck System just might end up paying for itself and start making you money. Why? While it takes minutes to change the jaws on a normal chuck, it takes only seconds to change the jaws on an Infinity Quick Change Chuck System. In fact, sometimes professionals would rather swap out the entire chuck instead of changing out the jaws, because switching jaws is that slow. But not everyone has the money to have two or more chucks at the ready. You might be worried about how well their quick change chuck system can hold wood that is spinning at high RPMs a few feet from you face, but they say there system is just as safe and reliable as one of their Standard Nova Chucks. They designed the system in such a way that rotation and wear only make the jaws hold more securely. Check out the NOVA Infinity Quick Change system at www.novatoolsusa.com and "Like" Us at Facebook.com/NOVAwoodworking The NOVA Infinity Quick Change jaw series opens up a new approach to woodturning -- no longer limited by old conventional jaw constraints. NOVA has designed a seamless jaw series which allows the turner to consider the base and shape of the wood piece and then choose the jaw that best fits their design. Of course with the NOVA Quick Change the right jaws can be selected and changed out in a matter of seconds making for fast project set up and changes. 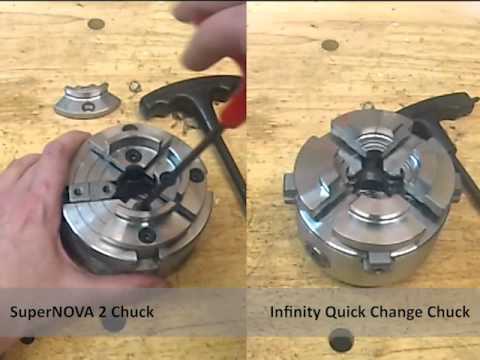 All of the advantages of the SuperNOVA2 Chuck but with added Infinity Quick Change Jaws. ​It provides a solid geared Chuck with all the features you'd expect from NOVA. NOVA Infinity is a new system which offers innovative breakthroughs for chuck holding. A quick change e jaw key system fits to the Infinity Slides to form a powerful and secure 'taper lock' much stronger than the original jaw screw fastening system. For more information visit www.novainfinitychuck.com or 'Like' us on Facebook.com/NOVAwoodworking to state up to date on NOVA Products.